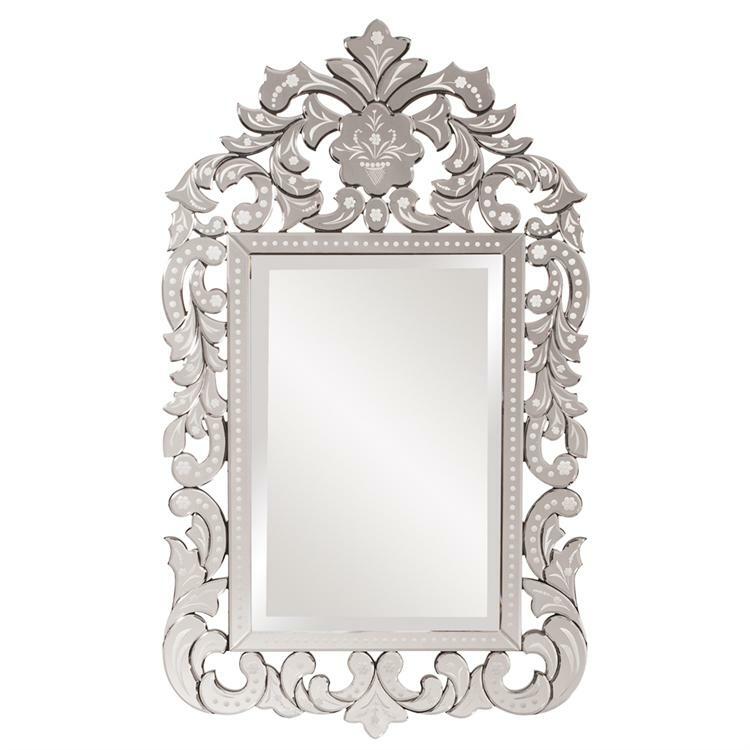 The Regina mirror features an elegantly ornate open-work frame. The frame itself is fashioned from mirrored sections, each that is beautifully etched. It is a perfect focal point for any design. Each mirrored section on this piece has a bevel adding to its beauty and style. Customizable for larger orders.